While not everyone may know the name Don Quixote (or even really how to pronounce Quixote correctly), you've probably heard about Spaniards attacking windmills. Don's the one that did that in the classic book by Miguel de Cervantes (no, not the same guy from Soul Calibur). 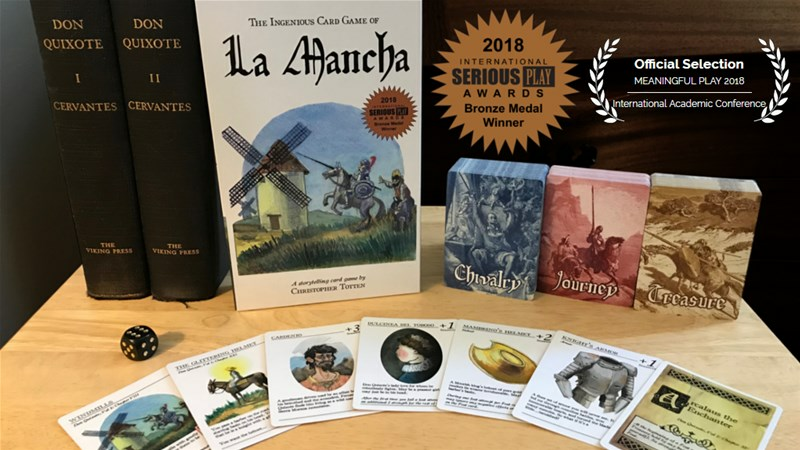 Now, you can recreate those epic tales for yourself with La Mancha, a new storytelling card game based on the book. The game is up on Kickstarter now.